Like most bathroom remodels, you want to create a serene and inviting spot in your home in a small amount of space. With hundreds of style ideas found in magazines and on the internet, the decisions can be tough and expensive. From timeless styles to modern hardware, making the right choice to fit you and your family needs is no small task. Has your bathroom ever been updated? Does your bathroom layout function well for you and your family’s needs? Does your bathroom allow for plenty of natural or artificial lighting? Does your bathroom easy accommodate the number of family members in your household or a household of guests? Are all your counter tops, cabinets and hardware in good shape? Will your bathroom help you in resale value? Research contractors who specialize in bathroom remodels. With endless lists of contractors and homebuilders, it’s important to base your decision on the scope of work, reputation and reliability as well as a specialist who knows how to work with you and your budget. Consider a full-service contractor. You may only need a fresh coat of paint or some new plumbing fixtures for your bathroom. When considering a full bathroom renovation, a specialist like Star Builders and Remodeling can benefit you with both design and construction under one roof. Experience makes all the difference. 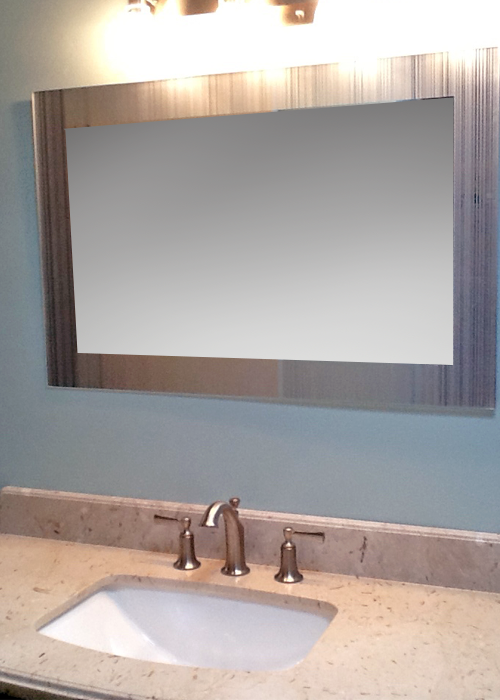 You shouldn’t have to worry about the day to day operations of a bathroom remodel project. Once you’ve selected your design style, your bathroom remodel project manager takes the lead from start to finish to help turn your ideas into reality! You may not have all of the answers before starting a bathroom remodel – Star Builders and Remodeling will help simplify all of the choices for you and help guide you toward the answers. They say “no two bath remodels are alike”, and there are many factors such as project cost that come into play when considering a bathroom remodel. Current bathroom layout and condition vs. your specific budget. Do you have decorative cabinet hardware or a water-efficient toilet? Do you have mold or cracked walls? A master spa vs. a functional bathroom. From grand fixtures and lighting to simple bathroom wallpaper, you can create the room that you’ve always dreamed about! At Star Builders & Remodeling, we work for you to help make the smallest room in the house the most peaceful spot in the house. Ready to move forward on your bathroom remodel? Similar to our kitchen remodel approach, your first step is a complimentary consultation with our contractor / project manager in your home. You’ll be left with a free project estimate and lots of great initial ideas with options available to you that you hadn't even considered! Tour your home and bathroom(s). This allows us to get a feel for your style and the overall functionality. Review your bathroom remodel project goals. Your dream bathroom is our focus. Discuss project design ideas and concepts. Review your budgeting and time frame. Discuss a little more about Star Builders & Remodeling’s experience. You then can decide if the Star Builders & Remodeling team is the right choice for you and your family’s new bathroom. Feeling a little more motivated about a bathroom remodel? Then let’s schedule a consultation today. A special request for traditional Mexican Tile. This guest bathroom took center stage in this client's home!